The undersigned is directed to draw attention to Para 3 (F) of this Ministry’s OM No. 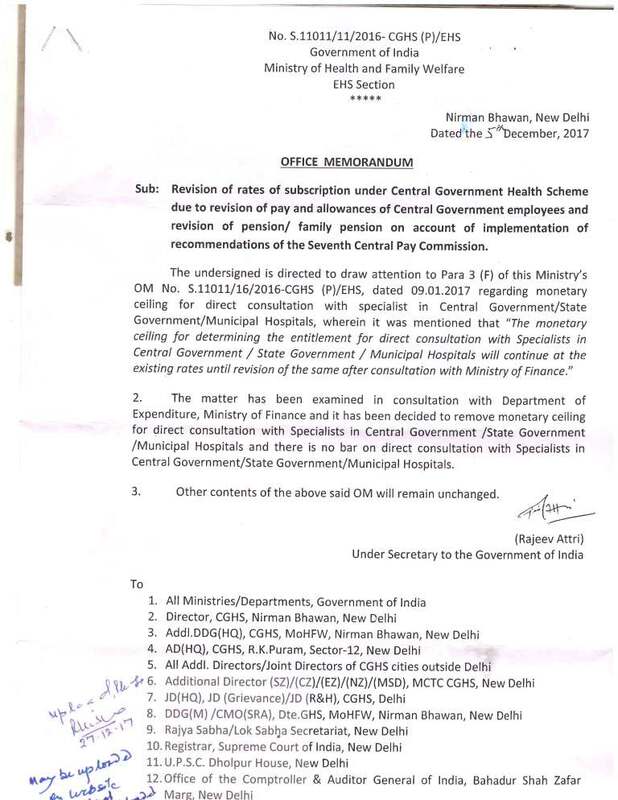 S.11011/16/2016-CGHS (P)/EHS, dated 09.01.2017 regarding monetary ceiling for direct consultation with specialist in Central Government/State Government/Municipal Hospitals, wherein it was mentioned that ”The monetary ceiling for determining the entitlement for direct consultation with Specialists in Central Government / State Government / Municipal Hospitals will continue at the existing rates until revision of the same after consultation with Ministry of Finance." 2. 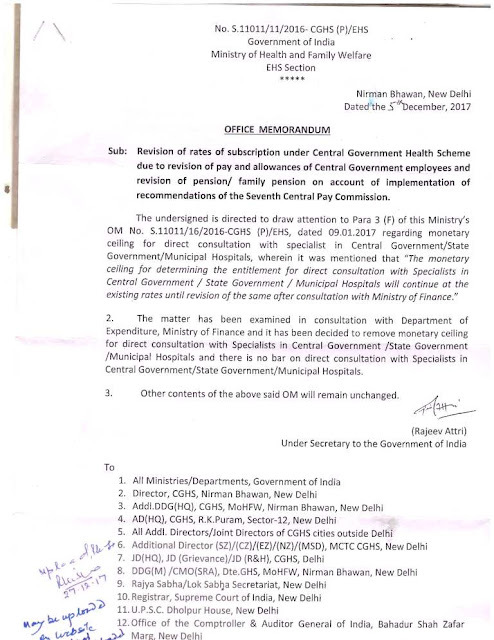 The matter has been examined in consultation with Department of Expenditure, Ministry of Finance and it has been decided to remove monetary ceiling for direct consultation with Specialists in Central Government /State Government Municipal Hospitals and there is no bar on direct consultation with Specialists in Central Government/State Government/Municipal Hospitals. 3. Other contents of the above said OM will remain unchanged.